A sublime 3 CD boxset with the most complete SPINOUT recording sessions, incl. 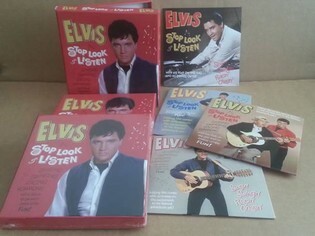 many tracks unreleased by Elvis' official record company. This stunning box also includes the complete film versions and original mono album! Plus some newly discovered demo recordings of songs rejected by Elvis and the Colonel and written by Dolores Fuller. Including a great full color booklet!